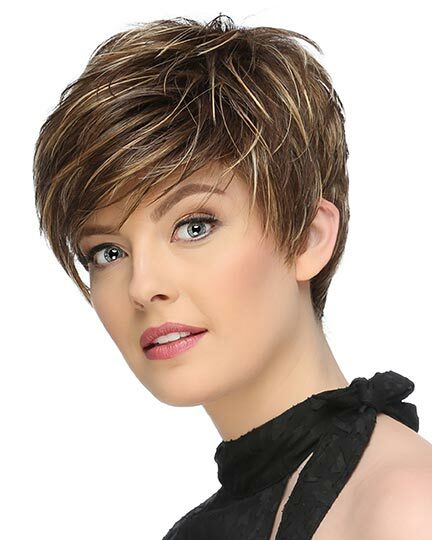 Fringe: 4.0", Crown: 5.5", Nape: 2.0"
Allison by Amore wigs has short, choppy textured layers wig with face framing fringe bangs. 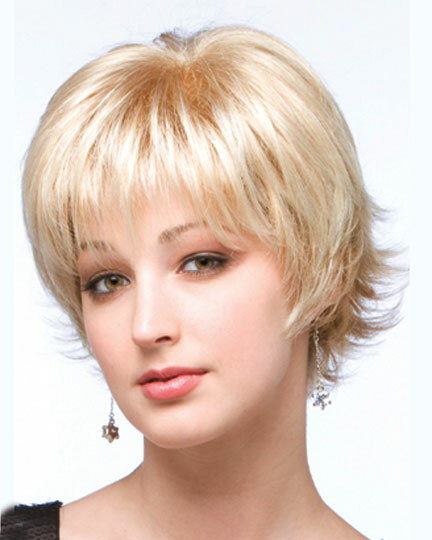 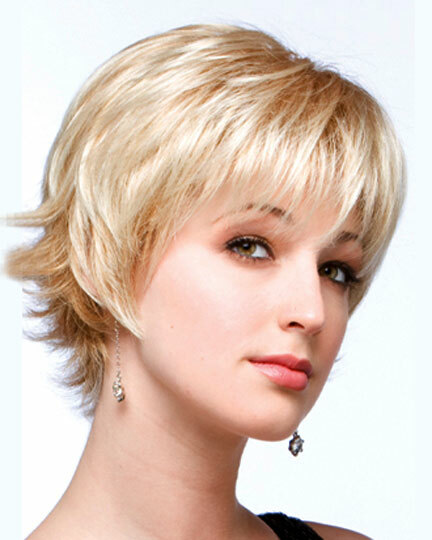 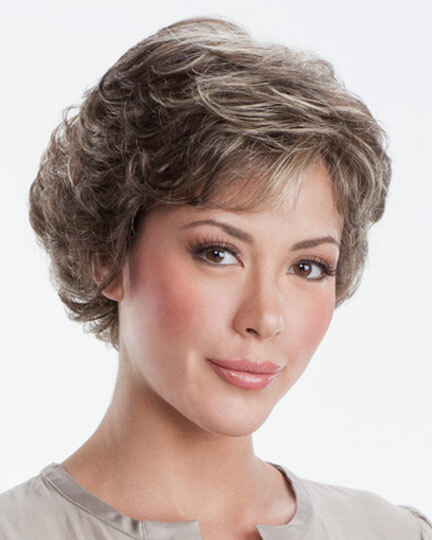 Amore Allison wigs feature a double monofiament cap with a hand tied top construction and machine wefting along the sides and back. 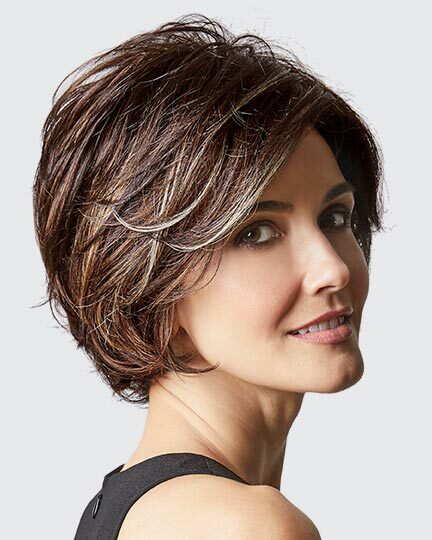 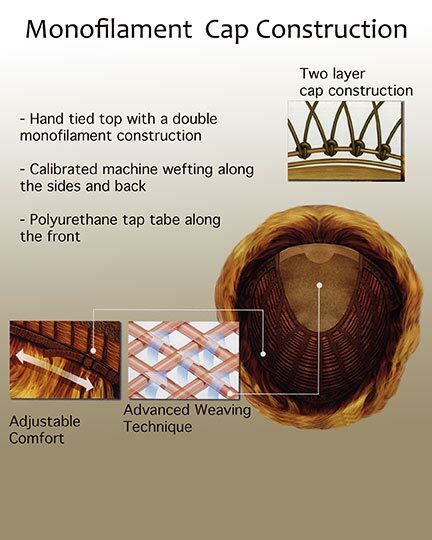 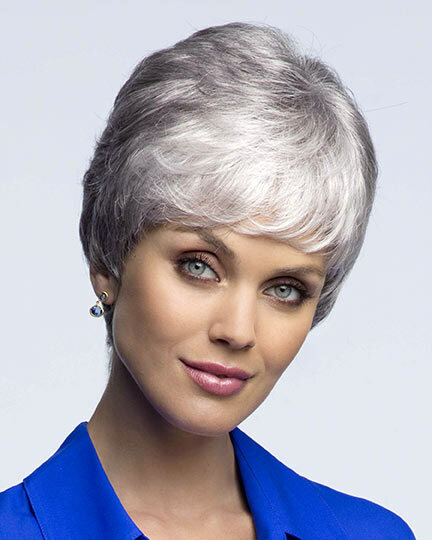 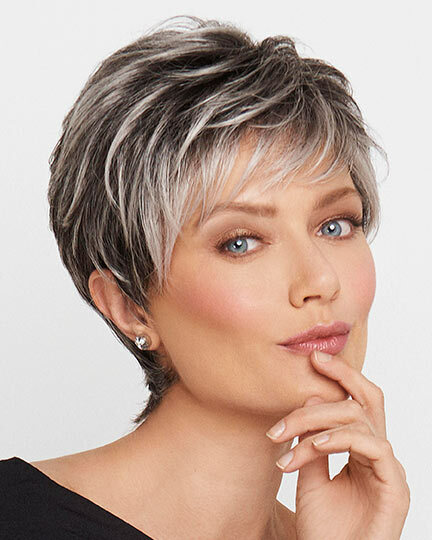 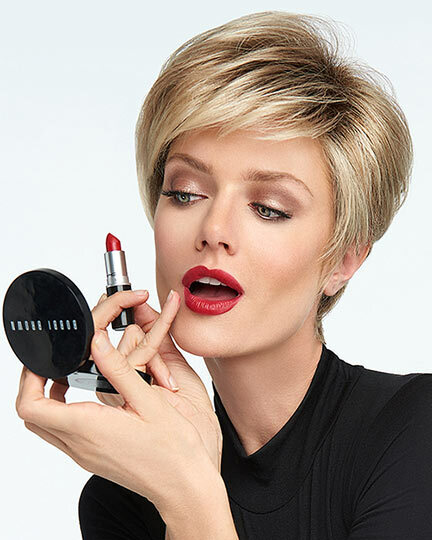 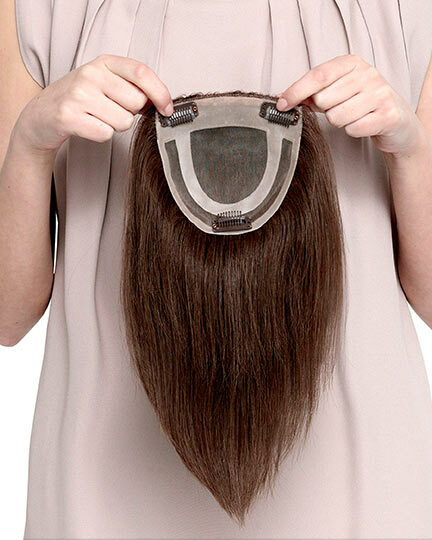 The Allison wig has a polyurethane tape tab along the front for all day secure comfort while the base layer at the crown gives the illusion of skin for a more natural looking appearance of hair growing from the scalp. 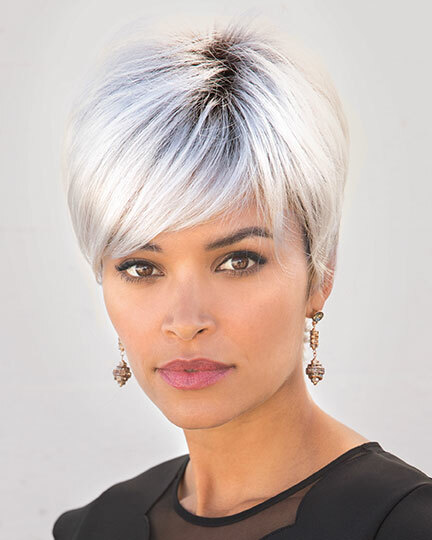 There are 1 colors available for Allison. 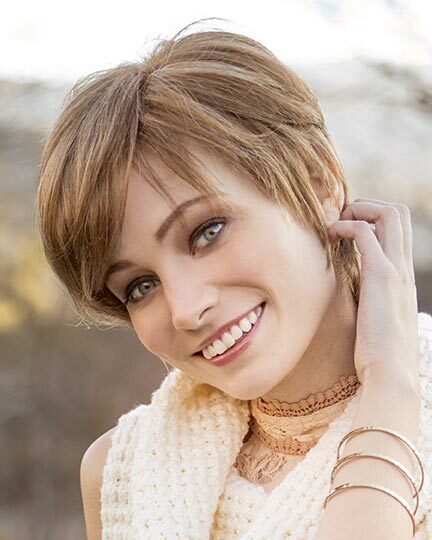 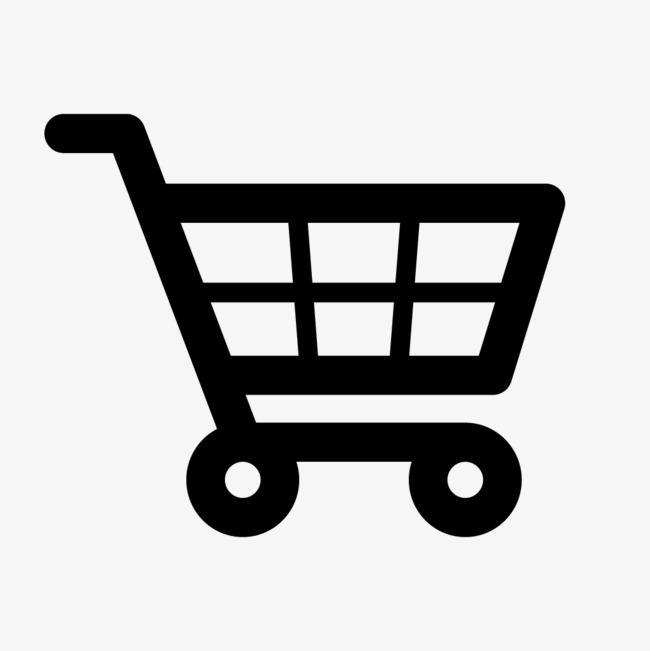 If you would like to discover other products that share some of Allison, 2524's qualities try the links below.